Can I Use My Lease Car as a Taxi? It's not a common question, but it's one we have been asked. So, can you? It’s a question we don’t get often, but it does get asked. You may be a taxi driver, or just starting out as one and you’ve seen how cheap car leasing can be. So, can you take advantage of this and use a lease car as a taxi? Well, yes and no. In this article, we’ll look at whether you can use your lease car as a taxi. Can you use a lease car as a taxi? The chances are, you will not be able to get a lease car through your average vehicle broker. 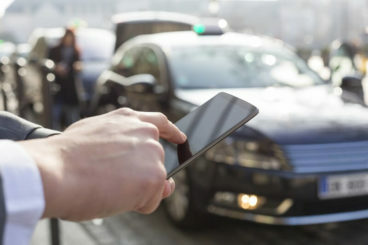 There are companies that specialise in leasing cars for taxis. In my time at OSV (almost three years) I have only come across one manufacturer that has sent through deals specifically for private hire cars. However, that’s not to say you can’t. You just have to go through a company that specialises in leasing for taxis. Can I use my Personal Contract Purchase as a taxi? We’ve said that you can’t really use a lease car as a taxi unless you have a specialised agreement with a specialised company but what about a personal contract purchase? So you might be wondering whether you can use a car you have on personal contract purchase as a taxi. Unfortunately, the answer is still no. Essentially, the finance company will own the car until the end of the contract where you will be able to buy the car off them. Therefore, if it is being used as a taxi while they still own it, the risk of depreciation is too high. They also cannot guarantee you will buy it at the end of the contract. However, some people get a car on personal contract purchase and then use it as a taxi after they have paid off the final payment and own the car. So that is an option. Can you use a lease car as an Uber? The ridesharing app has taken the world by storm – but the answer is still no. It’s still essentially a private hire car and therefore you can’t lease it. However, Toyota has invested in Uber with the intention of providing new lease options for Uber drivers. So again, you won’t be able to lease it from your average broker but there may be specialist companies that offer this service. Interestingly, in the United States Uber have teamed up with a company to provide lease cars specifically for Uber. However, there’s nothing to indicate that this will be brought over to the UK. Why can’t you use a lease car as a taxi? Generally, the reason you can’t use a lease car as a taxi is purely because of mileage and wear and tear. When you lease a car you will have mileage and fair wear and tear restrictions. The maximum mileage on a lease car is 50,000 miles a year, but there are many finance houses that won’t go over 35-40,000. When you have a taxi obviously you are going to be doing an excessive amount of miles. And, the more miles a car does the less it is worth. So, the finance house doesn’t want to end up with a car that has little value at the end of the contract. It’s the same with the condition of the car. 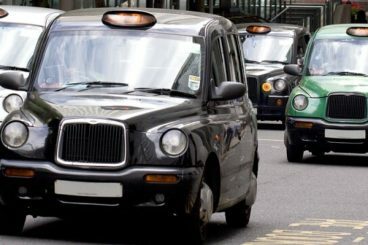 Taxis are likely to suffer from more than their share of fair wear and tear. Not only does this open you up to facing extra charges, but it also lowers the value of the car. Another reason is that, due to the contract terms and conditions, it says “not for hire and reward”. This means that you cannot make money out of the vehicle itself. So essentially, the finance house will not lease a car that they will not be able to sell on. How do I get a lease deal for my taxi? As I’ve mentioned already in this article- you won’t be able to get a lease deal for a taxi through your average broker. There are some places that offer finance and lease contracts for those who want to use their car as a taxi. But, they take a bit of digging around and a lot of searching. The best thing to do would be to do your research. So, we would recommend speaking to your broker. If you don’t have a broker, we recommend speaking to an established broker and ask them if they are aware of any manufacturer dedicated schemes. There are websites such as ethosfinance.co.uk, carloanwarehouse and thetaxishop that do offer lease and finance deals for taxis. However, we should mention here that we haven’t any experience with these companies. Therefore we cannot say whether they will be right for you – the best thing to do would be to do your own research and come to an informed decision. Ultimately, to get a lease car to use as a taxi then you will have to go somewhere that specialises in just that. The chances are your average, everyday broker or dealership will not be able to offer you this service. 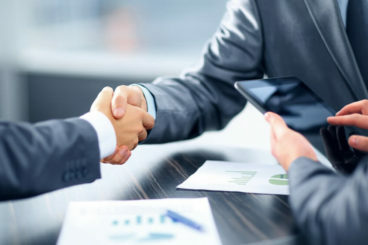 Therefore, when you are looking, it’s really important that you do serious research into these companies to ensure that they are reputable and that they are offering you what you need. Jamie enjoys: Spending time with his family, football, socialising, and the gym. Jamie is known for being the office entertainer. Once his summer shorts come out they will never go away until winter! He has tonnes of success and is always raising the expectations of the office. He's known to get a little competitive, but will always lend a hand to help others achieve. excellent and detailed information Jamie.